As we all know, Diablo 3 Beta in underway, but only for Blizzard friends and family. I will explain in a bit how to get a Diablo 3 Beta Key (but you have to be lucky). Very soon the first wave of beta keys will be send to the lucky Battle.net users. Of course the keys will be sent in waves and even if you don't get a key from day one, you might get lucky later. Diablo 3 Beta Test is very short in the aspect of gameplay, about 1-2 hours. It starts from the beginning of the game and ends with the Skeleton King fight (this is about 30-40% of Act 1). I read somewhere that the level cap for D3 Beta will be level 13. How to get a Diablo 3 Beta Key for the following Closed Beta ? 1. Opt-in in your active Battle.net account and hope to get lucky in being selected by Blizzard. 2. Follow fan-sites and big gaming sites and look for any Diablo 3 Beta Keys Giveaway. 3. Hope they will give Beta invites to the people that pre-order the game. 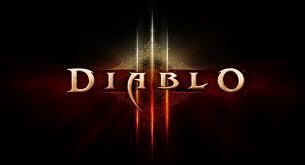 Many say that Blizzard's goal is to release Diablo 3 in December 2011. For that goal to be completed, the beta must be over in early November. So hold your fingers crossed and hope to recieve a beta key for the upcoming Diablo 3 Beta.